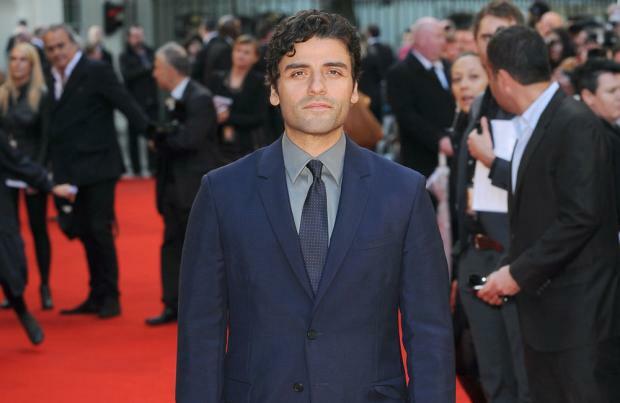 'Star Wars: Episode VII' star Oscar Isaac has revealed things are being kept loose and "messy" on the set of the new film. The 37-year-old actor, who has been cast in the much-hyped movie, revealed the atmosphere surrounding the film is being driven by director JJ Abrams. He told Entertainment Weekly: "What they're trying to do and what's really great is J.J.'s been loosening it up a little bit and trying to make it alive and energised. It's not formal. "They're messy, energised people. We've all intentionally tried to do that. Just make it a little more fiery and messy." Isaac - who is best known for his lead role in 'Inside Llewyn Davis' in 2013 - explained there's a feel-good factor on set about the film. He added: "Carrie [Fisher] is hilarious and doing such cool work. Harrison [Ford] is back. He went on hiatus for a little while, but he's 150 per cent back. It's pretty amazing to see him bounce back. He looks incredible. "Everyone's having a really good time. J.J. sets that tone. There's a lot of enthusiasm and it's being done with a lot of heart. There's nothing cynical about the way we're doing this." 'Star Wars: Episode VII' will open in cinemas in December 2015.